Of the 140 former synagogues that existed in Lower Saxony before 1933, only about 40 are still preserved today as buildings. Two of them are used as memorials and museums. 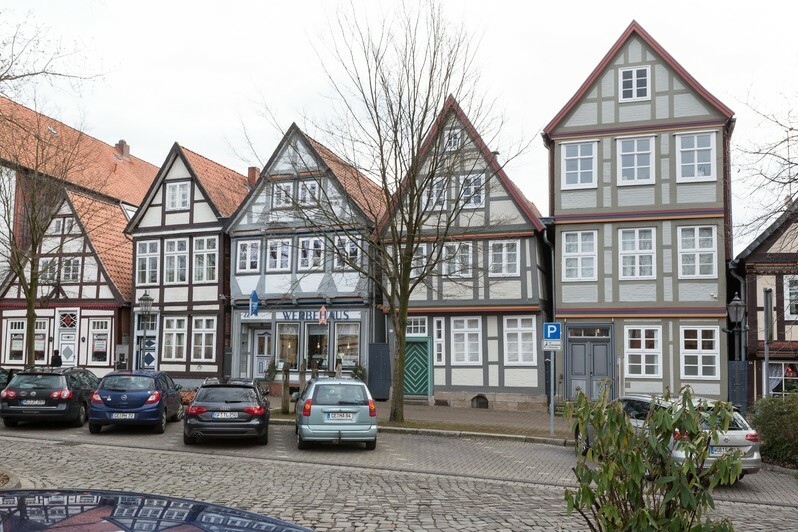 One of these is the more than 250-year-old Celle Synagogue at the address Im Kreis 24, which was returned to its original purpose: since 1997 it has been the church of the New Jewish Community of Celle. Between 1676 and 1691 five Jewish families under special protection and their servants received the ducal permission to settle in the suburb of Altencelle (Blumlage and Im Kreis). In 1690, these families, which consisted of about 30 people, set up a first prayer room in a rear building on Blumlage. Three years later, it was destroyed by order of the castellan, because no magistrate approval had been obtained. When the ducal approval was granted, a prayer room was restored in the private home of Isaac Maintz. The exact location of this house is unknown. A Jewish cemetery was allocated to the Jewish community in 1692. The cemetery was not located in Blumlage, but around four kilometres north of the Aller. Here, on the current Am Berge road, still-preserved grave stones document funerals from 1705 to 1953. The Jewish community built a cemetery hall there in 1910 based on a design by architect Otto Haesler. It was demolished in 1974 due to dilapidation. It was not until 1737 that the Jews in the Principality of Lueneburg were allowed to build synagogues. 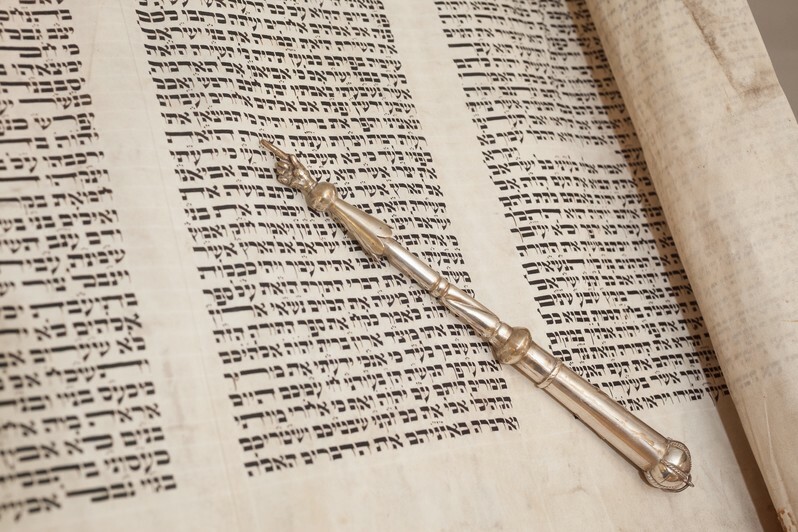 In 1738, the Jewish community acquired two plots at Im Kreis 23 and 24 and in 1740 built a synagogue, a simple timber-framed rear building with a plain appearance on the outside and an interior designed in the style of late Baroque period. The two front buildings were used as a Jewish schoolhouse (No. 24) and as living quarters (No. 23 and No. 24) for various church servants. The offertory box bearing the inscription "Aron, son of the Rabbi Joshua Feibelman, blessed be his memory. In Celle 1740 " stems from the time the synagogue was founded. 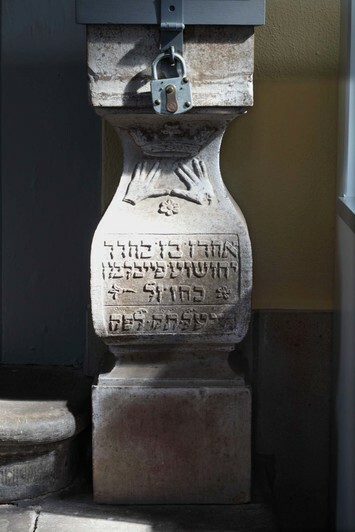 This inscription is one of the few indications of the age of the synagogue. The construction of the synagogue required a high level of indebtedness of the Celle Jewish community. Only the last will and testament of the court actor Isaak Jakob Gans from the year 1797 secured the long-term repayment of the loan. 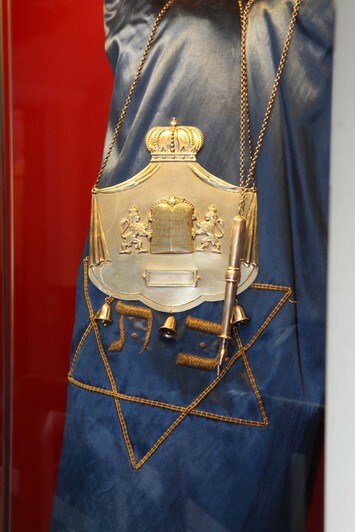 As early as 1765, Gans had made a valuable donation to the Celler synagogue congregation in memory of his father, Jacob Gans: a pair of torah rimonim (crowns) and a tas (breastplate), now owned the Collection Jewish Historical Museum Amsterdam. There is no evidence of structural alterations to the building of the Celle Synagogue for the next 150 years. It was not until 1883 that an extensive renovation was carried out: they included an extension of the women's loft along the west side of the synagogue room, leaded stained-glass windows with coloured windows and a redesign of the interior. The rebuilding was inaugurated on September 30, 1883, the eve of the Jewish New Year. The late 19th century was a golden age for the 110-strong Jewish community, much like the second half of the 18th century. The number of Celle Jews steadily decreased to around 70 in 1933. In January 1939, only 35 persons of Jewish faith lived in Celle; this number fell to just 15 by October of the same year. 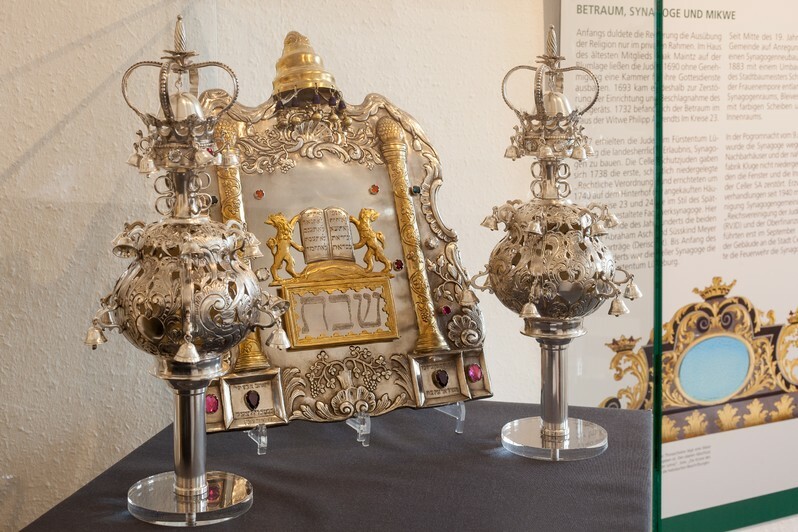 On the night of the Kristallnacht from 9 to 10 November 1938, the institution of the Celle Synagogue was smashed with axes, the twelve Torah scrolls, the cult objects and the community library were thrown into the street. The building was only spared destruction by fire because it would have affected the surrounding houses. From 1942, the old Jewish schoolhouse at Im Kreis 24 served as the "Celle Jew House". People were housed here in cramped conditions under total supervision until their deportation to the extermination camps. From here, for example, the married couple Oscar and Nanny Salomon were deported to Auschwitz in July 1943. Jews from other parts of the administrative district of Lueneburg also had to spend their time here before their deportation. The anteroom of the synagogue contains commemorative plaques donated by emigre members of the former Jewish community in Celle for their relatives who died in extermination camps. In May 1945, after the end of the Second World War and the liberation of the concentration camp Bergen-Belsen, around 1,000 Jews lived as so-called "displaced persons” at the Celle Heath Barracks. The military government confiscated the buildings of the pre-war Jewish community at Im Kreis 23/24 with the synagogue, the house at No. 25 and the Jewish cemetery Am Berge for the newly formed Jewish community and its their facilities and for various Jewish aid organizations. A mikwe (ritual bath) was built in the backyard of the synagogue in 1945, which was demolished in 1972/73 due to dilapidation. Many of the displaced persons of Jewish faith in Celle came from Eastern European countries, but a large part came from the German Reich (40%). They were waiting for their emigration to Palestine, to the US and other countries, or to return home. The rabbi of the post-war community, Mosche Olewski, emigrated to the United States in 1950. 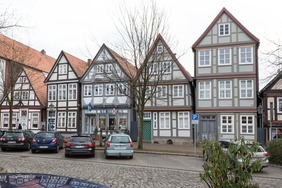 The small community that remained in Celle was affiliated to the National Association of Jewish Communities in Lower Saxony and then attended the service in the Hanover synagogue. The year of the church dissolution is unknown. Its last mention dates from 1967. Today, the Celle Synagogue is considered the oldest half-timbered synagogue in Lower Saxony that is still preserved in its essential components. Today's institution of the synagogue, e.g. 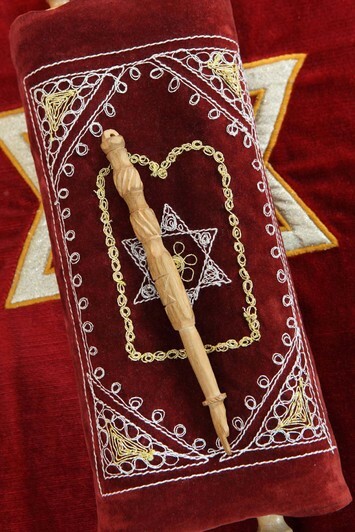 the wooden pedestal in front of the Torah shrine and the lectern for the Torah scroll (bima) date back to 1945. A major renovation in 1974/74 was financed by the city of Celle that had acquired the building in 1969. On 20 June 1974, the synagogue in Celle was consecrated by the Heidelberg Rabbi Dr. Nathan Peter Levinson. After another renovation in 1996/97, the neighbouring house at Im Kreise 23 was converted into a museum. 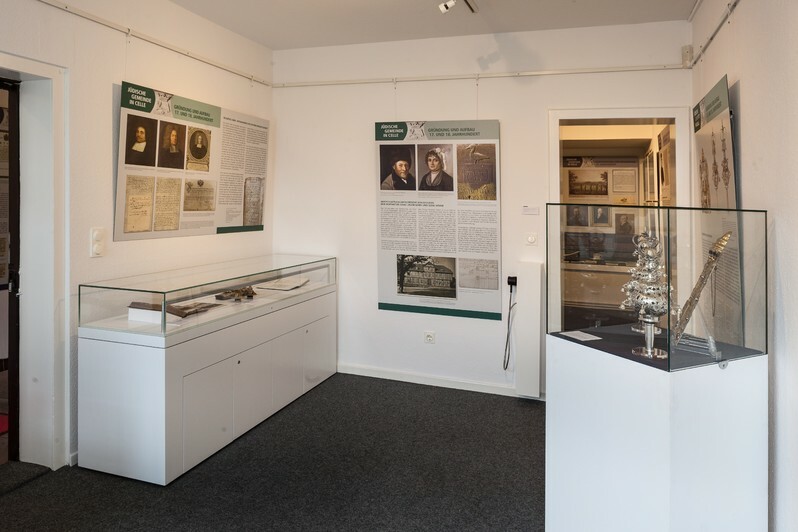 It now houses traveling exhibitions on various topics of Jewish history as well as a documentation of Jewish life in Celle. 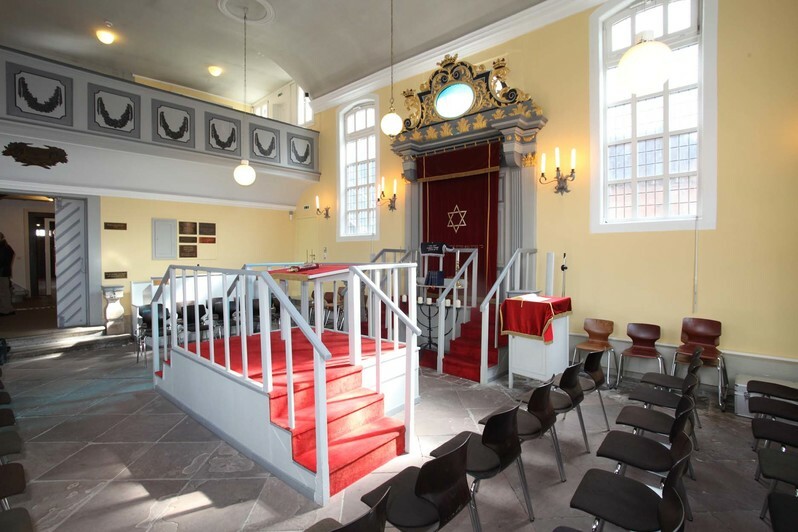 The synagogue itself is used for services and gatherings of the New Jewish Community Celle and the Society for Christian-Jewish Cooperation.